What comes to mind when the words style, sophistication and couture are mentioned? 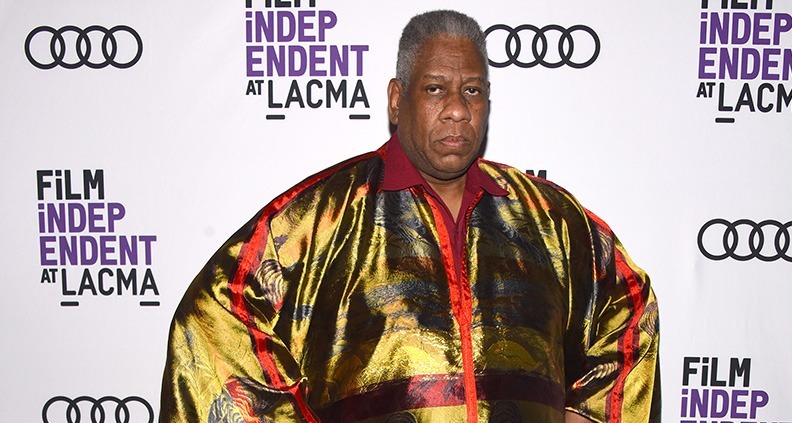 For many, the answer is fashion world journalist/fixture André Leon Talley. 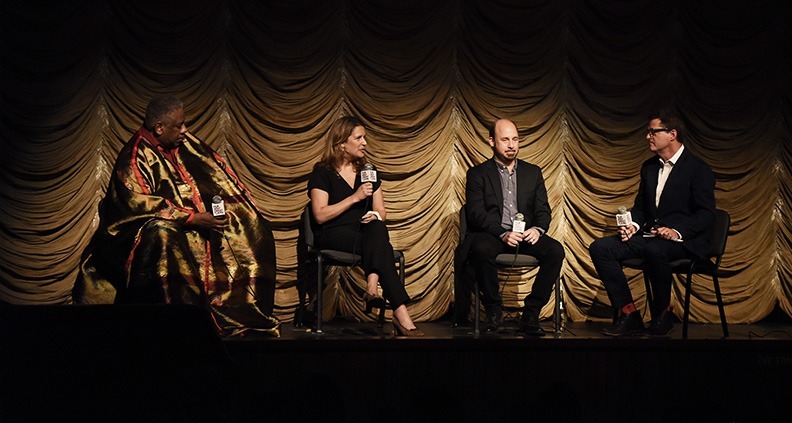 On May 10 the former Vogue editor-at-large joined Film Independent Members to explore his own personal journey, as portrayed in the Kate Novack’s new documentary The Gospel According to André—from growing up in the segregated South to pursuing big dreams in New York City and becoming a fashion world icon in the process. Film Independent President Josh Welsh moderated the Q&A, which also included Novack (Page One: Inside the New York Times) and producer Andrew Rossi (The First Monday in May). For most people, the thought of creating an artful, nuanced and overall fabulous documentary spotlighting a remarkable figure like Talley might be a challenge. But Novack simply captures her subject just as he is, and was: a man of fashion, history, family and grace. So keep reading for Talley’s view of the film, as well as his advice to the young style influencers of today. Talley chimed in: “It was just that easy”—evident in his enthusiasm that he really trusted his collaborators from the get-go. History in general, and especially the history of fashion, is very important to Talley. “You cannot go forward if you do not know the past,” he stated. “You have to know that the first great dressmaker was the dressmaker from Marie Antoinette—her name was Rose Bertin.” And who was the first great fashion victim? You guessed it: Marie Antoinette. “I grew up in my grandmother’s house. I just looked at every single issue of Vogue,” said Talley. “So women’s Vogue was the world that I escaped in, and I escaped in the world to the photographs, the writers, everybody…” Vogue was Talley’s entrance to literature, but also to sophistication. 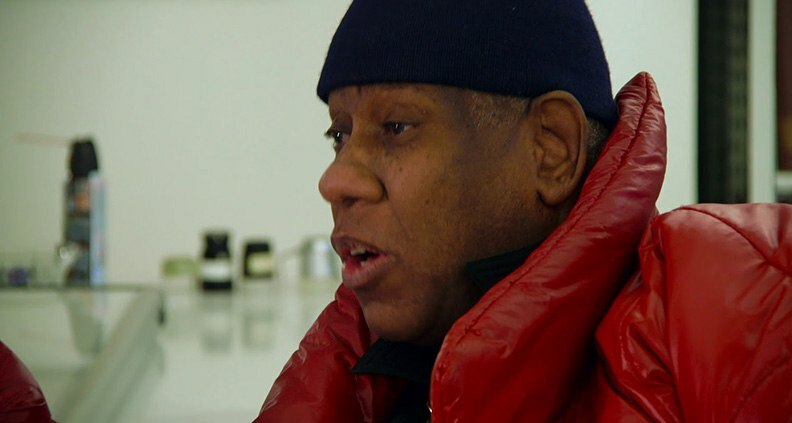 You cannot recount the life of André Leon Talley without touching on the subject of his beloved grandmother, the woman who inspired his love for fashion. “My grandmother, I think, was the most stylish woman in church. And so were her sisters, all my aunts,” he said. “I would come home [from church] on Sunday and read Vogue,” thus escaping to the world of fashion from his bedroom in Durham, North Carolina. As for the life altering big move to New York City, Talley exclaimed: “Dreams, dreams. I dreamed, I dreamed!” He continued, “But I was not as secure as you think I am. I was just as insecure as the next person, but I had an armor.” And that armor was his clothing, he said. How should a young André starting out today discover their passions? “I think people are so plugged into their computers and devices, that’s how they discover the world,” said Talley. So, get your foot in the door and express yourself. And if it worked for Talley, it can work for the rest of us. The Gospel According to André is currently in playing in select theaters and on SVOD, released by Magnolia Pictures. To learn more, visit the film’s website.